Full Ocean View Room with Balcony or Deck. Family Suite also available. Discover them at the Cabrillo Inn at the Beach. Our Oceanfront location overlooks the pristine white sands of Santa Barbaras most desirable East Beach, the Pacific Ocean and the Channel Islands. Our East Beach location is convenient for sunbathing, bicycling, rollerblading, strolls on the beach, dining, and nearby shopping in either Montecito or Santa Barbara Historic Stearns Wharf, Yacht Harbor and Downtown State Street are one mile away. 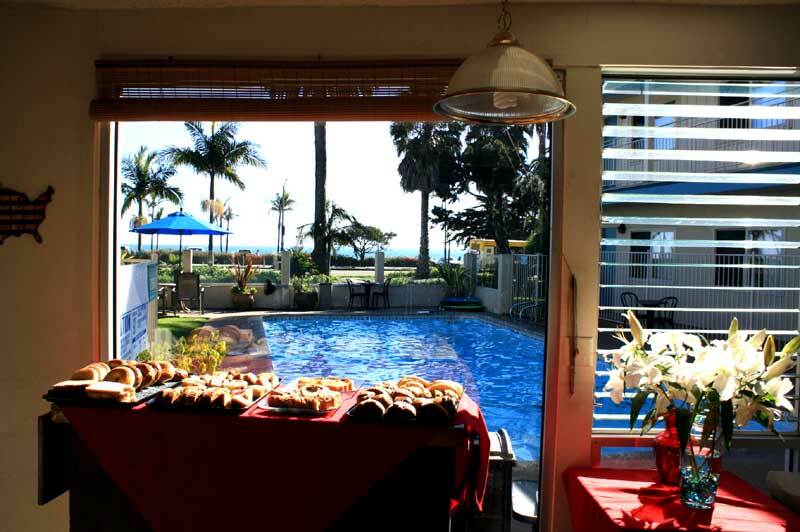 Relax and enjoy spectacular Ocean and Island views from your non smoking tropical decor room, heated swimming pool, two second floor ocean view sundecks, or our ocean view lounge where a free continental breakfast is served each morning. 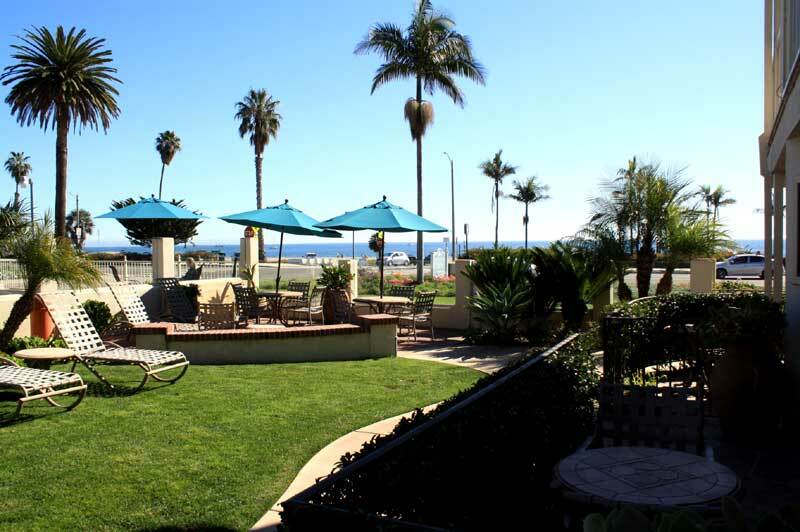 Secure your bit of Paradise today by reserving your stay at Cabrillo Inn at the Beach. 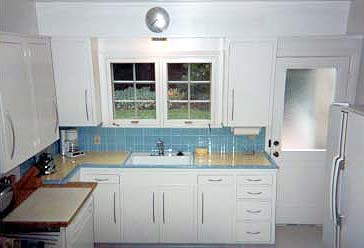 Spanish Vacation Cottage available by by the week or month: Two Bedroom, two bath unit with full kitchen, on-site parking, and located adjacent to the Cabrillo Inn at the Beach and its amenities. Kick-off Cinco de Mayo weekend with a proper celebration. Gather at Canary’s rooftop on Friday, May 3 from 4-9pm, where you’ll be greeted with a festive setting to get you in the Cinco de Mayo mood. Party Proper will be bringing the beats, while guests can ride into the weekend on a mechanical bull. A well-stocked margarita bar will be serving classic sippers and refreshing slushies, as well as cocktails, wine and Mexican beer. Finch & Fork will be hosting a Taco Bar full of ingredients to build-your-own tacos for 4 dollars each, which will be accompanied by chips and salsa. There will also be a tequila flight tasting, so cheers to that! Formed in Los Angeles in late 2016, The Marías are the psychedelic-soul lovechild of LA native, Josh Conway and Puerto Rican-bred, Atlanta-raised María. A smooth rendezvous of jazz percussion. Activities : Santa Barbara's climate, which boasts over 300 days of sunshine every year, is a huge draw for those looking for some outdoor adventure year-round. The Santa Ynez Mountains offer endless opportunities to hike and bike your way to amazing scenic vistas. The golden ridgelines cascade into the Pacific where you'll find a plethora of activities on the water, including kayaking, surfing, SUP and more, as well as incredible views of the California coastline. On any given day, you'll find pick-up beach volleyball games, people sea kayaking from Stearns Wharf to the Harbor, boats setting sail to go whale watching, and stand-up paddleboarders sliding across the water. You'll find a wide variety of options for outdoor fun here in Santa Barbara, Ca. Airport : Santa Barbara Municipal Airport 500 James Fowler Rd, Santa Barbara, CA 93117 (805) 683-4011 The Santa Barbara Airport's Mission "As the Tri-County region's "Airport of Choice", Santa Barbara Airport will be self-sustaining, exceed expectations for safety and quality service, and meet the air transportation and economic development needs of its customers and partners." Attractions : Santa Barbara and its surrounding areas are full of impressive landmarks that speak to the history of the region, dating back to the Chumash (Native American) tribes who settled in villages here and lived off the bounty of the land and the sea. The Spanish left their mark in architecture that evokes their religion and their homes, while the penchant of “Califorñios” for hospitality, horsemanship, music and dance all linger in Santa Barbara's festive traditions. Attractions : Stearns Wharf 217 Stearns Wharf, Santa Barbara, CA 93101 (805) 564-5530 Stearns Wharf has fun recreation, great restaurants, and amazing creatures at the Sea Center. Stearns Wharf is located adjacent to the harbor in Santa Barbara, California. When completed In 1872, it became the longest deep-water Wharf between San Pedro and San Francisco. Named for its builder, local lumberman John P. Stearns, the wharf served the passenger and freight shipping needs of California's South Coast for over a quarter century. Find more details, visit Stearns Wharf History . Casinos :Chumash Casino Resort 3400 CA-246, Santa Ynez, CA 93460 (805) 686-0855 Nestled in Santa Barbara County's beautiful wine country, Chumash Casino Resort is truly an adventure in escapism. Chumash Casino Resort's main attraction is its world-class gaming floor that is open 24 hours a day, seven days a week. EXCITING GAMING ON YOUR SCHEDULE Enjoy the fast-paced action of slots, table games, poker and bingo any time you want! Dining : Taste the best of the Central Coast's food and drinks in The American Riviera®. From the Santa Ynez Valley to downtown Santa Barbara you'll find the freshest ingredients on your table and in your glass at restaurants in Santa Barbara. Locally sourced, farm-to-table meals, craft brews and critically acclaimed wines await your palate. When it comes to food and drink here, perhaps the hardest choice you'll make is where to dine. Fresh-off-the-boat seafood, Santa Maria-style barbecue, authentic Mexican cuisine and other coastal-inspired creations all pair perfectly with local wines and beers. Events : Whether you have a hankering for wine tasting, fine dining, or shopping, Santa Barbara delivers. Visitors and locals enjoy the events in Santa Barbara with picturesque Spanish Colonial architecture and plenty of recreational opportunities, from the Santa Ynez Mountains to the Central California coastline. Happy trails! Golf : Santa Barbara golf courses range from greens to blues, hillsides to countrysides. It only makes sense that The American Riviera ® possesses some of the most incredible golf courses in the country. Santa Barbara offers six public 18-hole courses, four of which are a short drive from downtown Santa Barbara. There are also several nine-hole golf courses that include practice facilities. From the rolling greens of Glen Annie Golf Club to Sandpiper Golf Course , which is just within earshot of the crashing surf, or at award-winning Rancho San Marcos Golf Course that winds through nearby ranchland on the backside of the rugged Santa Ynez Mountains, golfing in Santa Barbara is always a memorable experience. 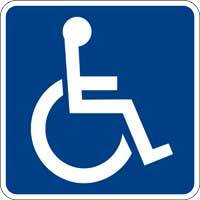 Government :City of Santa Barbara 735 Anacapa Street Santa Barbara, CA 93101 (805) 963-0611 Headed by the City Council, which is composed of a Mayor and six Council Members, the Santa Barbara City Government is an organization dedicated to serving the people of our community. In the Government section of the City web site you will find useful information about your boards and commissions, laws, city budget, employment, ​and contact information so that you can get in touch and communicate with those who serve you. Hospitals :Santa Barbara Cottage Hospital 400 W Pueblo St, Santa Barbara, CA 93105 (805) 682-7111 Website Thank you for choosing Cottage Health (CH) for your healthcare needs. For over 125 years, our not-for-profit health system has been providing advanced medical care for patients throughout California. Today, our nationally recognized services provide families with the patient-centered care they deserve. In 1888, a group of 50 Santa Barbara women recognized it was time for the growing community to have a hospital — a not-for-profit facility dedicated to the well-being and good health of all residents, regardless of one's ability to pay. Shopping : No trip to Santa Barbara would be complete without a healthy dose of shopping. And shopping here comes with its own distinct flair. In Santa Barbara, a day spent shopping could just as easily be billed “exercise,” thanks to plenty of walking and fresh air. Then again, you could call it “sightseeing,” as the beautiful adobes of State Street and eclectic artistry of the Funk Zone are set against a background of the mountains, the ocean, or a cluster of red-tiled roofs, as though waiting for their close-up. Or you might call what you're up to “exploring,” as you wander through Paseo Nuevo , one of Santa Barbara's open-air malls. Wineries : Santa Barbara County Wine Country Santa Ynez Valley Wines, grape to glass in Solvang, Buellton, Ballard, Los Alamos, Los Olivos and Santa Ynez.Solvang Wine tasting and touring is a memorable and definitely not-to-be-missed experience in Santa Barbara County Wine country of Solvang and the Santa Ynez Valley. Local grapes are planted, nurtured and crafted into award-winning wines that are sipped and savored worldwide. More Than 120 Vineyards Most of the 120+ wineries in the area are boutique and family-owned. Stroll through one of these vibrant vineyards or visit more than 20 tastings rooms in downtown Solvang. Area wineries welcome visitors year-round and it's easy and fun to do self-directed wine tours or enjoy guided tours. Oscar-winning 2004 movie Sideways , shot on location here, helped plant Solvang firmly in the wine scene. Wine tasting events abound throughout the year, so be sure to visit our events calendar for complete details. University : University of California, Santa Barbara UC Santa Barbara Santa Barbara, CA 93106 (805) 893-8000 Palm-framed vistas of the blue Pacific and the golden Santa Ynez Mountains. The scent of eucalyptus mixed with the saltwater breeze. Breathtaking natural beauty combined with enormous intellectual vitality. This is the University of California, Santa Barbara, and there is no other campus quite like it.Here on the edge of the Pacific, in a setting removed from urban pressures and distractions but vibrant with cultural and academic activity, many of the country's most promising students join a community of scholars whose accomplishments are internationally recognized and whose skills as teachers are evident each day in classrooms and laboratories. In the humanities and the arts as well as in engineering and the sciences, UC Santa Barbara introduces students to novel ways of thinking, learning, and conducting research. 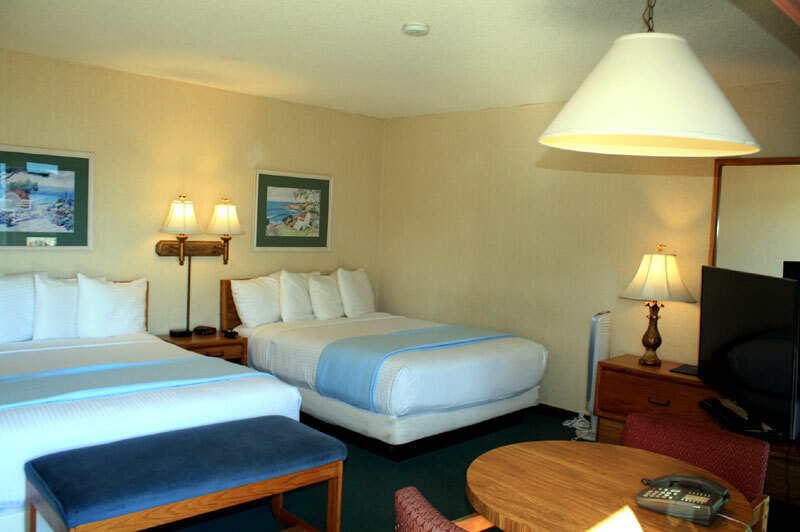 Welcome to our great hotel in Santa Barbara California with affordable rates and cheap budget discount lodging. 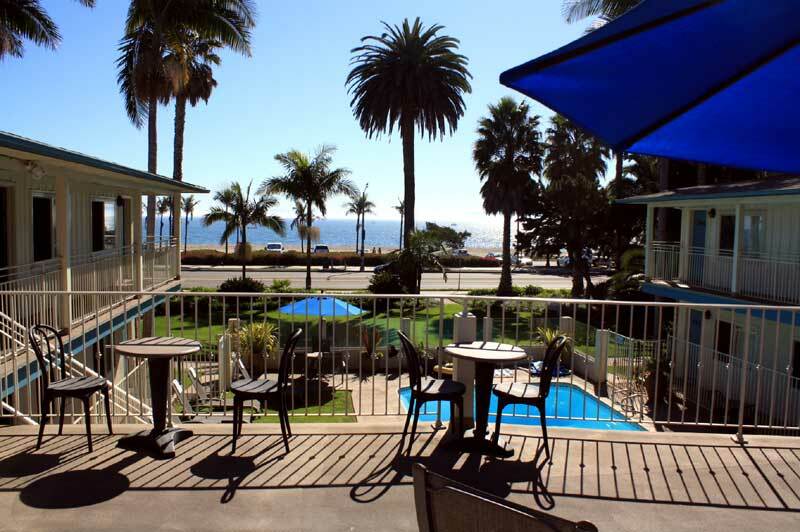 Cabrillo Inn At The Beach welcomes you to our budget hotel in Santa Barbara California. 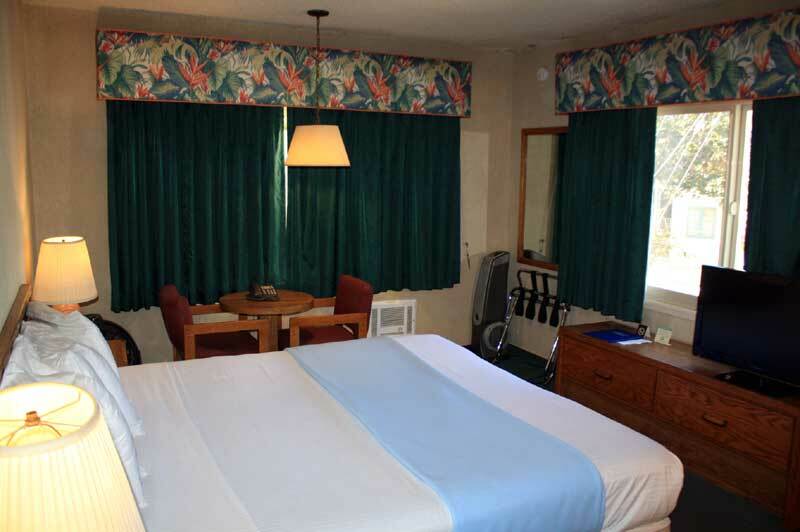 Cabrillo Inn At The Beach will provide you excellent customer service with great amenities in comparison to all Hotels and Motels in Santa Barbara California. Please visit us on your next stay in Santa Barbara California and let us provide you with 4 star hospitality for 2 to 3 star budget rates. 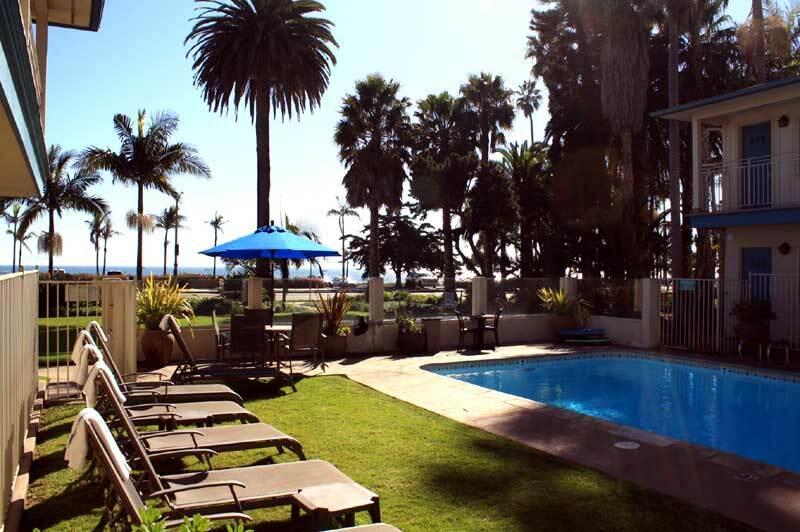 Cabrillo Inn At The Beach has been providing lodging and accommodations in Santa Barbara California for several years and looks forward to providing our valued customer and business traveler with the best service in Santa Barbara California for Hotels and Motels in our local area. 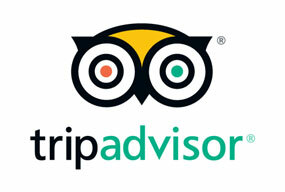 Discover them at the Cabrillo Inn at the Beach Hotel by East Beach Santa Barbara. Our Oceanfront hotel location overlooks the pristine white sands of Santa Barbara's most desirable "East Beach", the Pacific Ocean and the Channel Islands. Our "East Beach" location is convenient for sunbathing, bicycling, rollerblading, strolls on the beach, dining , and nearby shopping in either Montecito or Santa Barbara Historic Stearns Wharf , Yacht Harbor and Downtown "State Street" are one mile away. Things to do in Santa Barbara Ca.